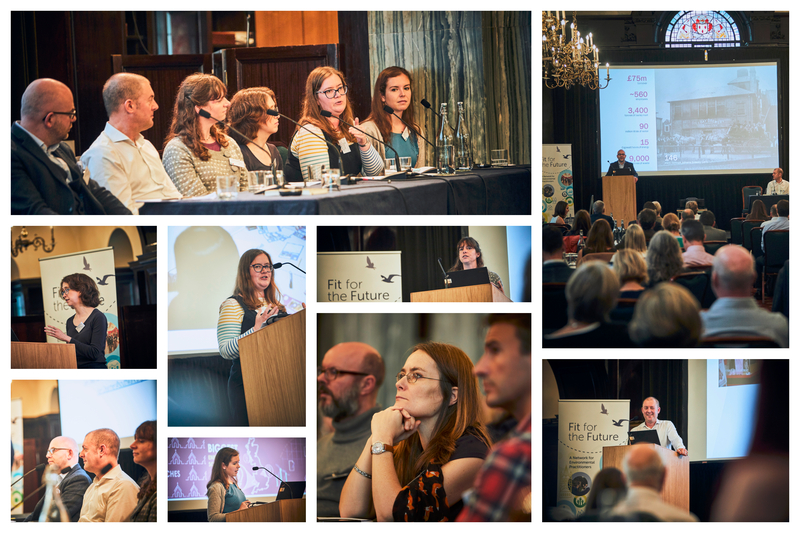 More than 130 environmental practitioners from organisations including Historic England, Manchester University, Cancer Research UK, Historic Environment Scotland, RSPB, National Trust and Guide Dogs attended this year's event. 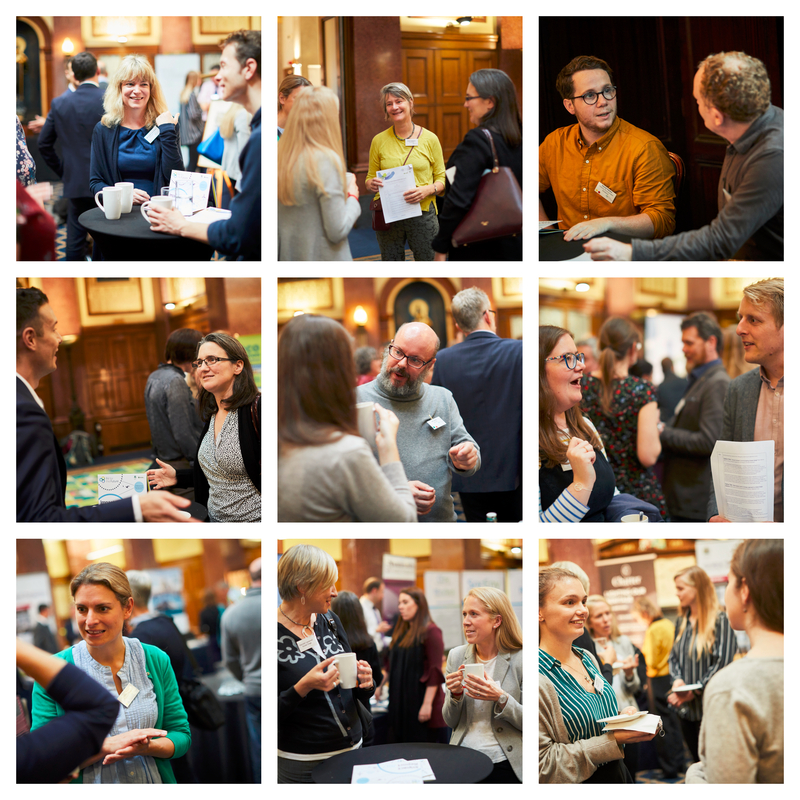 Fit for the Future is first and foremost a collaborative network, and we were happy to see lots of discussions going on throughout the event. Harvest is all about members meeting face-to-face, sharing environmental solutions and linking up to begin new collaborations. After an introduction from our Network Manager, Fergus Rolfe, we heard from Sir Ed Davey, who is chair of the network as well as being MP for Kingston and Surbiton and former Energy Secretary. Ed set the tone for the day by talking inspiration, motivation and collaboration. 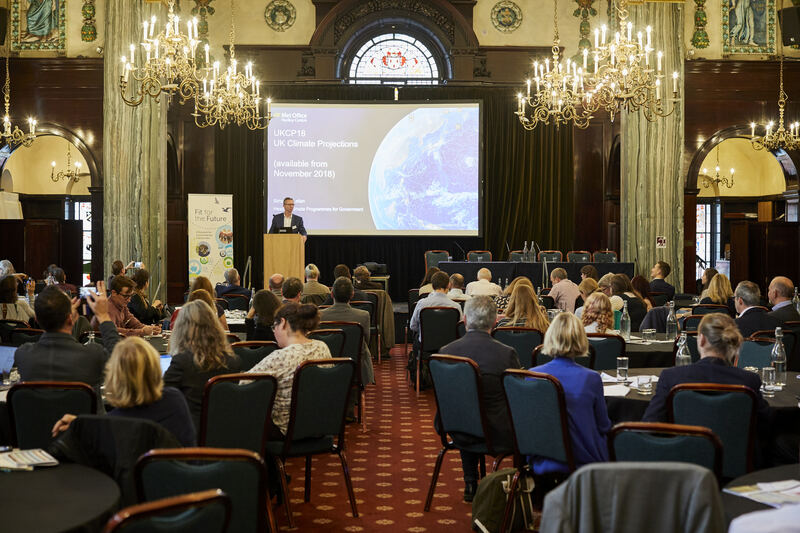 Julie Hirigoyen, Chief Executive of the UK Green Building Council, then gave a key-note speech, which was a powerful call to action and reminder that everyone in the room has their part to play in turning the tide on what is probably the greatest challenge of our time, climate change. Next it was time to focus on the innovations and successes happening within the network. 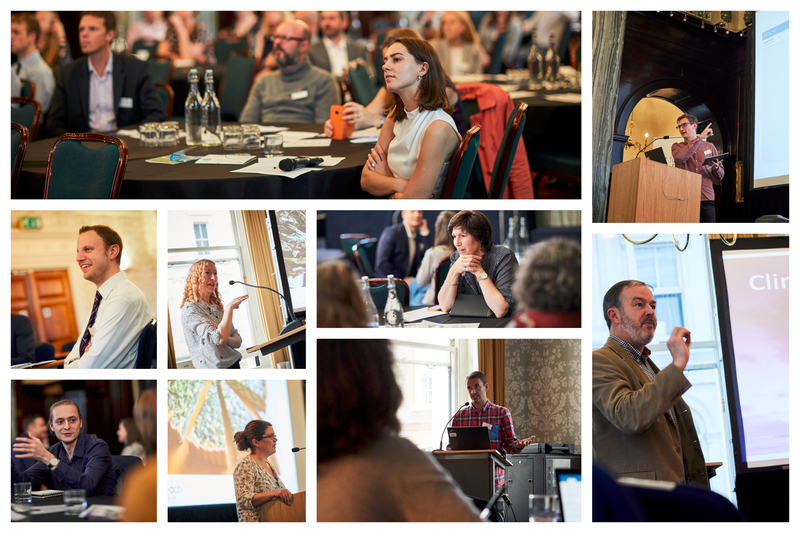 We had case studies from Adnams, British Heart Foundation, Historic Environment Scotland, Manchester University, Zero Carbon World and the Diocese of Southwark. Members got an inspiration re-charge as they heard about positive outcomes and changes. After lunch we heard from Simon McLellan, Head of Climate Programmes for Government, Met Office. Simon gave us an insight into the 2018 UK Climate Projections, due out in November. To adapt to climate change, we firstly need to understand what we are adapting to. Our afternoon workshops covered the issues that our members are currently finding most relevant and challenging. Topics included the WELL Building Standards, tackling the plastic waste crisis strategically, communicating climate change and a strategic approach to climate change adaptation. To round off the day we presented our first ever Fit for the Future awards. 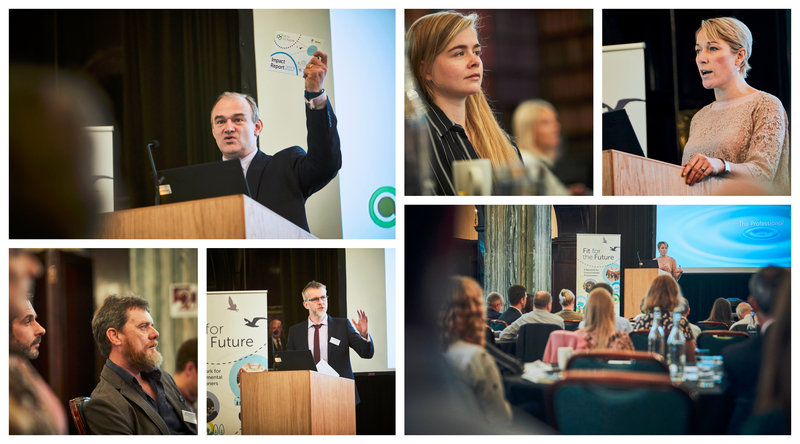 Environmental practitioners are often working in isolation within their organisation, and we think it's really important to recognise their incredible achievements and share their successes far and wide. That's what our inaugural awards were all about, as well as saying a big thank you to members who have been particularly generous with their time and expertise to help other Fit for the Future members. 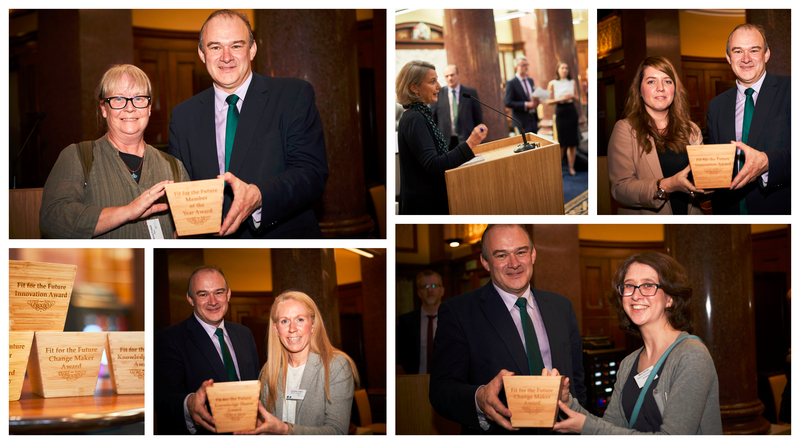 Sir Ed Davey and Sarah Butler Sloss, Founder Director of Ashden, presented awards to RNLI, Forestry Commission, Historic England and Historic Environment Scotland. 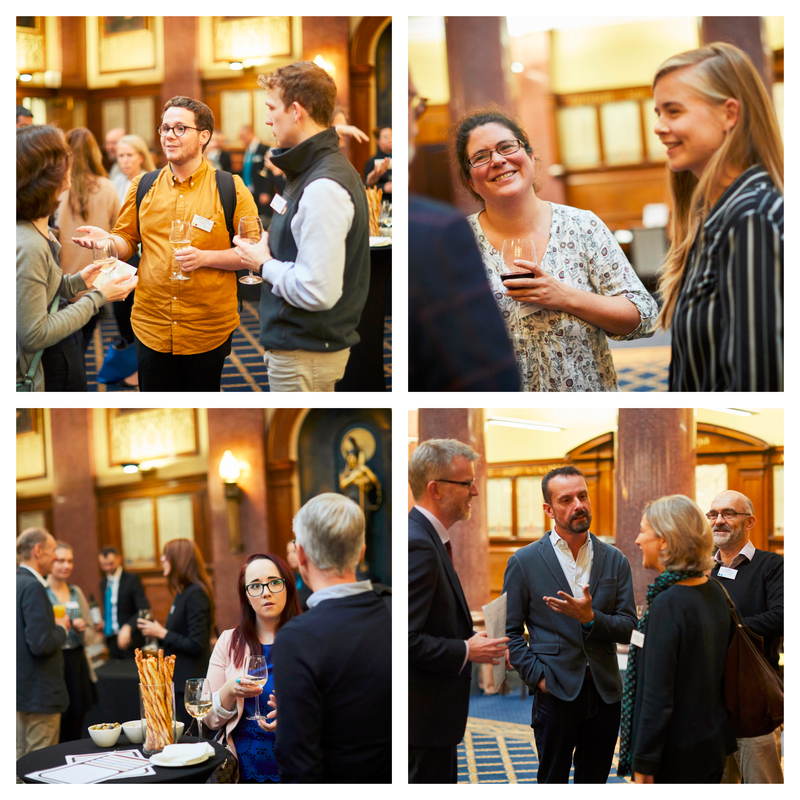 Members then continued networking at our evening drinks reception. We're delighted to have received positive feedback from the day including that members felt 'motivated', 'inspired' and 'a sense of community- working together for a common cause.' A big thank you to everyone involved! The Fit for the Future team are feeling a renewed sense of purpose too- we're busy planning our next round of events for more learning and networking over the rest of 2018. Take a look at what's coming up on the events page.